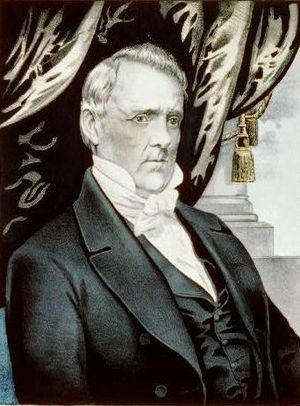 James Buchanan was born on this day in Cove Gap, Pennsylvania, USA in 1791. Today is the 222nd anniversary of his birth. 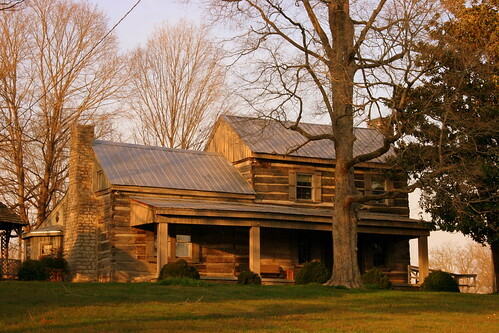 Although he was born in a log cabin Buchanan’s family was well to do. His father was a prosperous businessman. 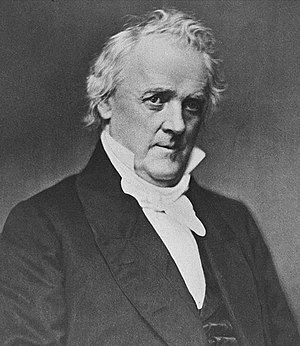 His father, James Buchanan, Sr. was a farmer, businessman and merchant, his mother, Elizabeth Speer, was intelligent and well-respected. James was the second of 11 children, 8 of whom lived to adulthood. After graduation in 1809 he went to Lancaster, PA, to study Law. He passed the bar in 1812. Although he was against the War of 1812 (he thought it was unnecessary) He joined the light dragoon unit when the British invaded Maryland and helped defend the city of Baltimore. Although the Battle of Baltimore would later become famous because of Francis Scott Key’s poem The Star Spangled Banner, Buchanan’s unit didn’t see any action. He returned to Lancaster after the war. At 23 he ran for Pennsylvania House of Representatives and won a seat as a Federalist. He threw himself into his work and was elected to the U.S. House of Representatives in 1820. Being out of the country during a contentious primary season helped Buchanan side step the bloody Slavery debate. “The overseas post enabled Buchanan to be unblemished by the political bloodshed that resulted from the disastrous Kansas-Nebraska Act of 1854.” [the Miller Center.org] He became the Democratic Party’s nominee for President in 1856. He beat Republican John C. Frémont and took the White House on March 4, 1857 as the 15th president of the United States. More slavery woes were in store in the territory of Kansas. The choice in Bleeding Kansas was between two rival state constitutions, the Free-Soil (anti-slavery settlers) took Topeka as their capital, those who were pro-slavery picked Lecompton as the seat of government. The Free-Soil party was in the majority but the Lecomptons managed (through a number of shady means) to get their platform passed. By the mid-term elections Buchanan’s political star had fallen and the Republican took the House and Senate. He was the lamest of lame ducks and the government was at a stalemate. In the presidential election of 1860 the Democrats split with Buchanan taking the Southern states and Douglas taking the Northern states. He lived out the war at his home, Wheatland, in Lancaster, PA. He died of respiratory failure in 1868. He 77.